(Bloomberg) -- Iran President Mahmoud Ahmadinejad said he will oversee the country’s Oil Ministry following the dismissal of its minister, Masoud Mir-Kazemi, as part of a plan to shrink government administration. 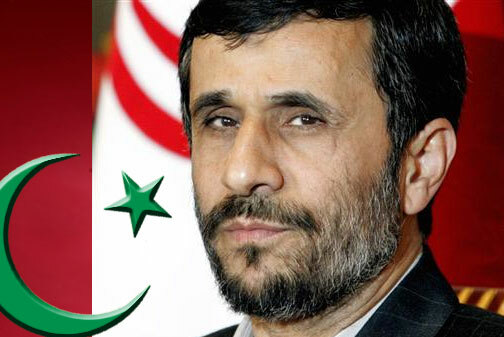 “I am the caretaker for the Oil Ministry,” Ahmadinejad said in an interview on Iran state television late yesterday. The move, part of a plan to improve government efficiency and reduce the number of ministries to 17 from 21 by 2015, was in line with an earlier May 9 announcement that the Oil Ministry would merge with the Energy Ministry. Oil is Iran’s biggest source of foreign revenue, with the price of Iran Light crude gaining 22 percent so far this year to $108.45 a barrel. The ministry oversaw efforts to boost refinery processing to avoid shortages of gasoline following U.S. pressure to curb international sales of the motor fuel to Iran. Two days ago, the president dismissed Mir-Kazemi as well as Industry and Mines Minister Ali Akbar Mehrabian and Welfare Minister Sadegh Mahsouli, saying their responsibilities had ended. Among other ministries, Industries and Mines is to be combined with Commerce, while Welfare will merge with Labor. The move drew criticism from parliamentary members who said the decision had been hasty and that the president had failed to consult them on details of the mergers. The president should have sought parliamentary approval for the structural changes as well as dismissals and appointments, Ahmad Tavakoli, head of the parliament’s research center, said May 14. Ahmadinejad rejected the criticisms, saying that his decision would ensure a swift implementation of the law and was to the country’s benefit. Ahmadinejad yesterday appointed Commerce Minister Mehdi Ghazanfari to oversee the Industry and Mines Ministry and Labor Minister Abdolreza Sheikholeslami to take over the Welfare Ministry. He didn’t name a caretaker for the Oil Ministry. Iran, the second-largest crude producer in the Organization of Petroleum Exporting Countries after Saudi Arabia, currently holds the group’s presidency, which changes each year. The group holds its next ministerial conference on June 8 in Vienna. Traditionally, the formal meeting begins with a speech by the OPEC President. OPEC officials in Vienna couldn’t immediately say who would head Iran’s delegation. Oil revenue accounts for about three-fourths of Iran’s budget. Gholamhossein Hassantash, a former president at the Tehran- based Institute for International Energy Studies, warned against such “blows” delivered to the oil industry and economy, especially given the pressure of international sanctions amid the government’s insistence on pursuing nuclear activities. “Top energy officials have warned about a drop in the country’s oil production, which is partly due to economic sanctions,” Hassantash wrote in a note posted on his website May 14. In addition, projects related to Iran’s joint fields, in particular the South Pars natural gas field that it shares with Qatar, are facing significant delays, he said. Nigeria is another OPEC nation that has, at times, put its president in charge of the oil portfolio. Olusegun Obasanjo, who was Nigerian president for the seven-year period ended 2006, was often nominally in charge of the ministry, which was run by junior oil ministers and advisers, in part to placate concern about alleged corruption by previous cabinet-level oil ministers.